Chatsworth House is indisputably the jewel in the Peak District’s crown. Home to the Cavendish family since the 16th century, it is a magnificent English country house set in over 1,000 acres of parkland. 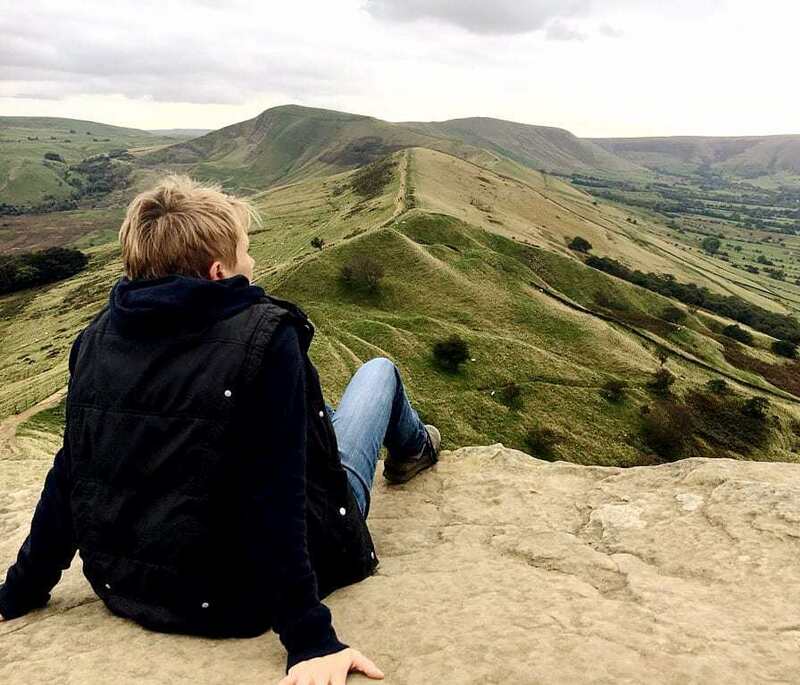 It is rightly top of the list of attractions for visitors to the area, and there is more than enough to keep the whole family occupied for a full day here. 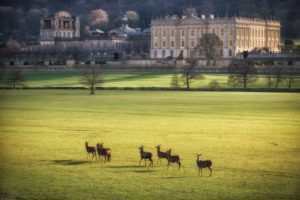 Chatsworth House is beautifully situated on the banks of the River Derwent, surrounded by wooded hills and lush pastureland, on which graze herds of red and fallow deer. Much of the grounds are open to the public free of charge and feature beautiful woodland and riverside walks through the stunning Derbyshire countryside. The 105 acres of formal gardens, designed by Capability Brown, are accessed by ticket only, but visitors cannot fail to be impressed by the sheer scale of what’s on offer, from extravagant water features, outdoor sculptures and monumental Victorian rock gardens, to kitchen gardens, sensory trails, and a maze that will stump even the most adventurous explorer. The house itself is also a feast for the senses. Built in the 1550s in the English Baroque style, it is an imposing sight as the visitor approaches, with intricately carved stonework and bright gilding to the window frames. There are more than thirty rooms open to the public, with awe-inspiring interiors, lavish furnishings, and a world-famous collection of art, including ancient Roman and Egyptian sculpture and masterpieces by renowned artists from Rembrandt to Lucian Freud. There’s plenty to keep younger visitors happy too, with a large woodland adventure playground featuring a rope park, a trampoline, slides, water and sand play, as well as a child-friendly farmyard that allows kids to get up close and personal with the animals. When you’ve worked up an appetite, there are a number of restaurants, cafes and tea shops throughout the estate, and no trip is complete without a visit to the award-winning Chatsworth Estate Farm Shop, located a short distance from the house in the pretty village of Pilsley.